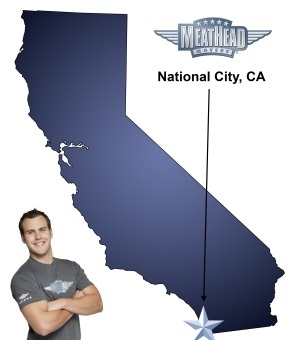 Whatever your moving needs may be, Meathead Movers will help you feel at home in National City. Our professionally trained student-athlete movers and our moving concierge will be with you for the entirety of your move to National City. The second oldest city in San Diego County, National City boasts rich history and gorgeous natural surroundings. Families who are moving to National City will enjoy the laid-back atmosphere and friendly residents of the community. Of course, moving anywhere in Southern California can be just as stressful as it is exciting. Our National City movers can help take the worry out of your move by doing the heavy lifting for you. In 1542, Spaniard Juan Rodriguez Cabrillo arrived in present-day San Diego, forging the way for other explorers and government officials who would create ranches and land grants in the area. After nearly 300 years of Spanish rule, President Johnson reassigned some land grants in 1845, naming one The National Ranch. The ranch was purchased in 1868 by a pair of brothers who retained its original named and called their community National City. Today, National City is a bustling community that relies heavily on the tourist economy. Families who are moving to the area will find that the city’s leaders and residents are incredibly proud of their long and rich history. The National City Depot, which was built in 1882, is still a popular attraction today. The National City Mile of Cars, widely considered one of the first auto malls in the world, is also very popular. National City also boasts a variety of outdoor recreation opportunities. Families can head to nearby beaches or hiking trails at any time of the year. The many parks and beaches of San Diego, including the legendary Balboa Park, are only a short drive away from National City. The community is also perfect for those who enjoy a daily walk surrounded by beautiful historic buildings and lush landscapes. When it comes to taking the stress out of moving, nothing is more important than choosing the right moving company. At Meathead Movers, we’re proud to be your National City movers of choice. Our moving company specializes in local, long-distance, and commercial moves to, from, and within National City. We also provide reliable packing, storage, on-site relocations, and our distinctive moving concierge service, which connects you with local service providers. Our friendly student-athletes are dedicated to making the most of your moving dollar and will jog when they’re not carrying boxes. We’re also happy to offer Princess Packing services for those who don’t have the time or energy to box up possessions themselves. Moving to National City should be an exciting experience. You can make the transition to your new home easy by choosing Meathead Movers as your National City movers. Contact us today for more information about our services and to get a free no-obligation moving quote. Moving to National City? Here are some helpful resources. View more National City resources.